Championship defender Joe Avitia tees off during the 17th annual McAllen Amateur Golf Championship at the Palm View Golf Course on Sunday, July 29, 2018 in McAllen. 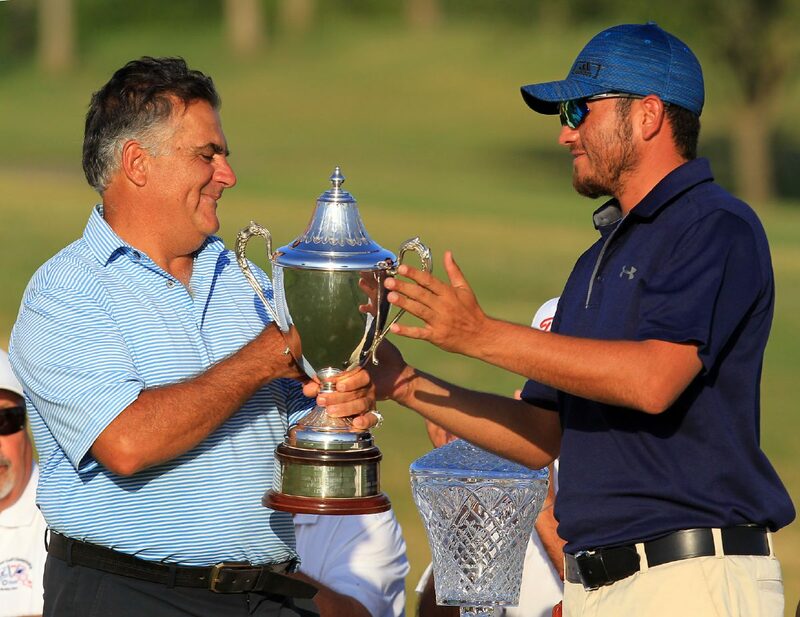 McALLEN — Ricardo Samar, a 58-year old from Monterrey, Mexico, who won the McAllen Amateur on Sunday, wasn’t even scheduled to play in the event. His two rounds this weekend were the first he has ever played at Palm View Golf Course. Samar has known director of golf at Palm View Carlos Espinosa, who is from Reynosa, for many years. Samar travels to the Valley once every week or so for work, but he had never played in the McAllen Amateur. Samar is an avid golfer and has been golfing since he was 12, but he rarely plays on the American side of the border. Last years winner Joe Avitia, right, presents the Art Metcalf trophy to this years winner, Ricardo Samar, in an awards ceremony at the 17th annual McAllen Amateur Golf Championship at the Palm View Golf Course on Sunday, July 29, 2018 in McAllen. 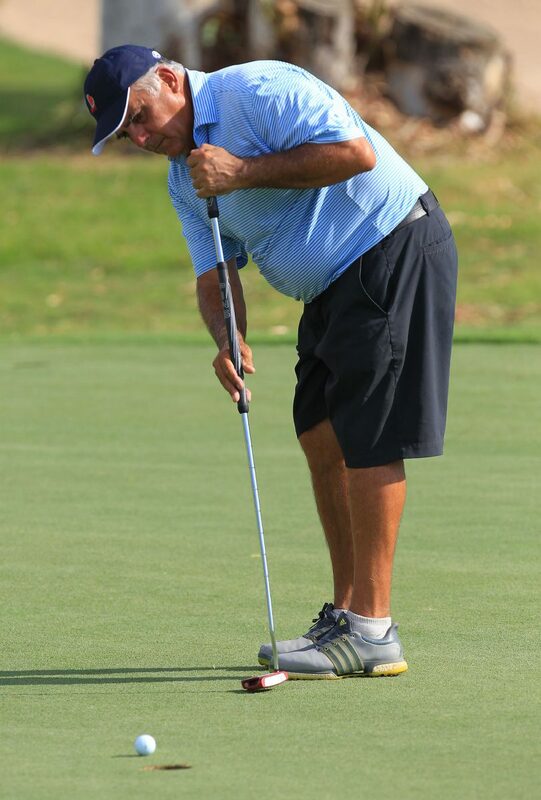 Ricardo Samer attempts a putt on the green during the 17th annual McAllen Amateur Golf Championship at the Palm View Golf Course on Sunday, July 29, 2018 in McAllen. 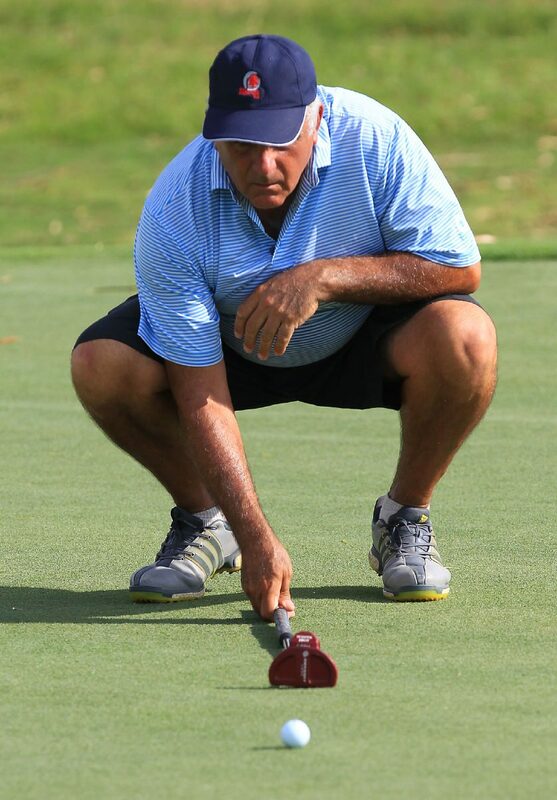 Championship defender Joe Avitia lines up a putt during the 17th annual McAllen Amateur Golf Championship at the Palm View Golf Course on Sunday, July 29, 2018 in McAllen. Ricardo Samer lines up a putt on the green during the 17th annual McAllen Amateur Golf Championship at the Palm View Golf Course on Sunday, July 29, 2018 in McAllen. 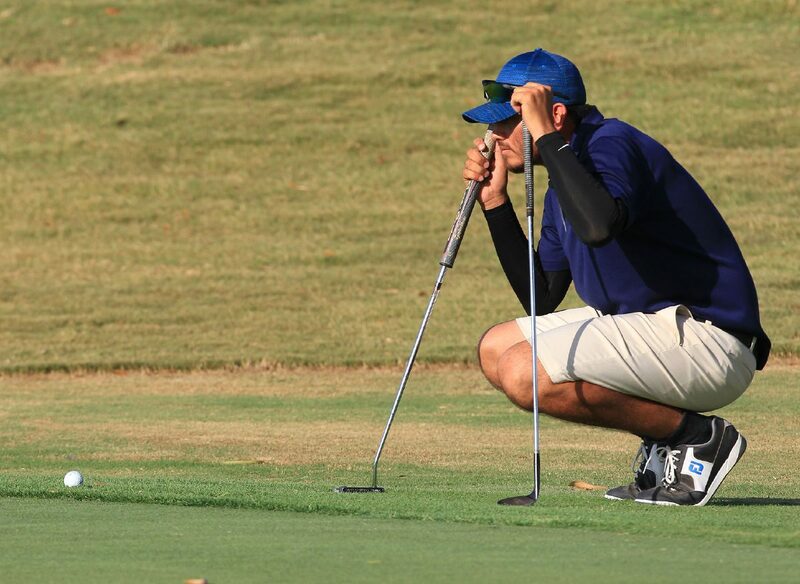 In recent years, Samar has heard much praise for the McAllen Amateur from his golf buddies. This year, he finally decided he needed a taste of the action. Still, he had never played Palm View before, so when he started his first round on Saturday, he felt some growing pains. Samar shot a 75 on Saturday, putting him into a tie for ninth place. He charged to the front of the pack on Sunday. By the 12th hole of the final round, Samar was one over and tied for the lead. “In the first nine holes, I hit it pure,” Samar said. Samar had been coy about the competitive nature of the tournament when he told his family. His wife, Veronica, and their children, Luis Ricardo (13) and Gabriel Alejandro (12), were shopping, enjoying the refreshing air conditioning on the hot afternoon, when they got word Samar was near the top of the leaderboard. Samar shot a 69 on Sunday, the best 18-hole score of the tournament, which meant he was at even par after both rounds. He knew the score was good. Joe Avitia, last year’s winner, and Arnold Curiel were in the lead after the first round, so they were in the final grouping of the championship flight, a few groups behind Samar. Avitia saw his early lead slip away on Sunday after he struggled on the front nine. 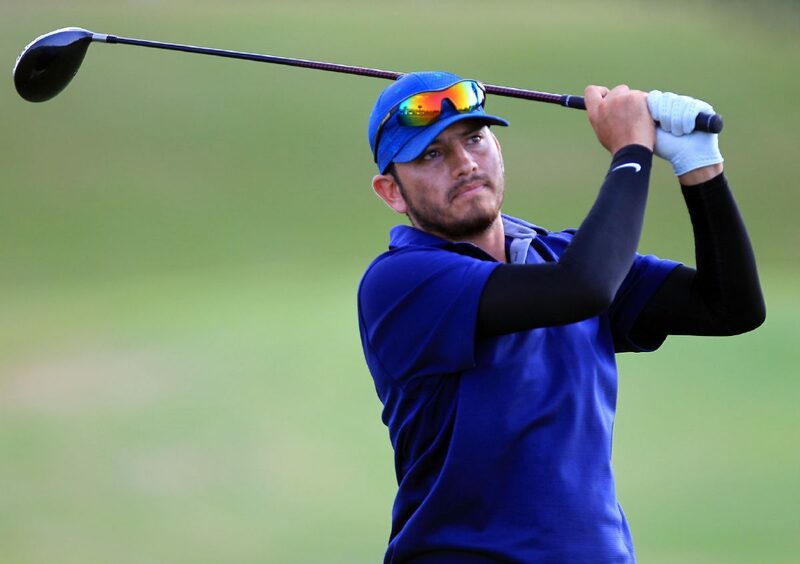 Curiel passed Avitia and was ahead by two strokes after 14 holes on Sunday. Avitia regrouped and put pressure on the leaders during his last four holes. He hit a beautiful birdie putt on 17 to tie Curiel and give himself a chance for the win on 18. Avitia hit two great shots to put himself right next to the green, but he needed to sink the par-5 18 in three shots to force a tie. As Avitia lined up his third shot, he was just outside the green, but he went for the putter anyway. His shot was very close but trickled past the hole, clinching the win for Samar. Now that Samar has had a taste of the best tournament in the Valley, he is hooked. He can’t wait to defend his title next year. This story has been updated to reflect that Ricardo Samar is from Monterrey, Mexico.